BMW, nearly alone among even luxury brands, offers a four-year, 50,000-mile free maintenance plan standard. Standard maintenance, some wear-and-tear items, and four years of roadside assistance are also included. The 2011 BMW 3-Series continues the tradition of excellent handling, brisk performance, and high quality, though its relatively compact size does result in some compromises. With updated engines and an all-new 335is model, the 2011 BMW 3-Series improves on its formula of luxurious performance. The 2011 BMW 3-Series is a sporty midsize luxury car available in coupe, sedan, and convertible models. 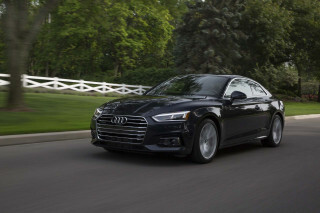 It competes primarily with the Audi A4/A5 family, Infiniti G37, and Mercedes-Benz C-Class, each offering a different take on the concept of a luxury midsize sports vehicle. The 2011 3-Series goes on sale toward the end of the summer and sits between the 1-Series and 5-Series in BMW's range. The core of the range is built around 328i, 335i, and 335is models, with both rear- and all-wheel-drive models available. It starts at a base price of $33,100 for the sedan. Attractive and elegant, the 2011 BMW 3-Series' styling is a good compromise between bling and boring. 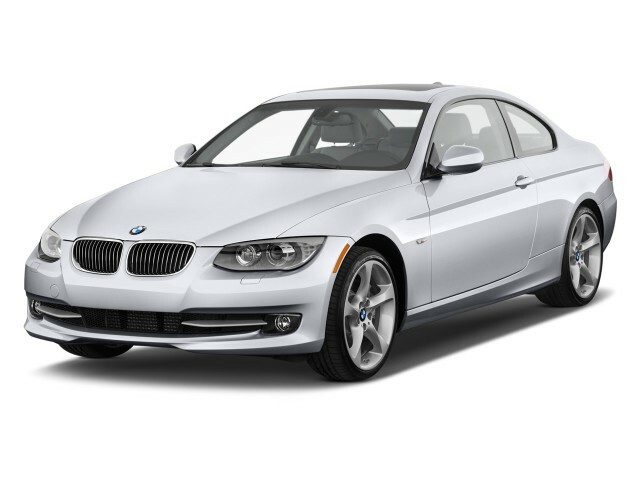 Whether you choose coupe, sedan, wagon, or convertible, the 2011 BWM 3-Series is handsome, graceful, and athletic. The athletic and graceful character stands out most in the coupe and convertible, while the sedan and wagon convey a sense of purposeful, handsome solidity. Updates for 2011 are subtle, with small changes to the front and rear ends adding up to a fresh look. Interior styling is likewise attractive, with stalwart and elegant lines making for a luxurious feel without being over the top. That tendency toward conservativeness may not inspire love in all buyers, however. Nevertheless, the styling doesn't get in the way of functionality, which anyone can appreciate, though some find the location of the audio and climate controls a bit awkward. The 2011 BMW 3-Series retains its claim to the title of the Ultimate Driving Machine in the small sedan segment. Three gasoline engines are available for 2011, including the 230-horsepower standard inline-six found in the 328i, the new single-turbo 300-horsepower, 300-pound-foot inline-six, and the twin-turbo, 320-horsepower inline-six found in the new 335is. A turbodiesel engine is also available in the 335d. All of the 3-Series engines displace 3.0 liters. Both manual and automatic transmissions are available, and while the auto offers a manumatic mode, enthusiasts will prefer the manual. The standard rear-wheel-drive layout is supplemented by an all-wheel-drive option, but only when paired with the automatic gearbox. The driving experience of the 2011 3-Series is still at the forefront of the experience despite the move toward larger, heavier cars. All four of the available engines sing, while steering and handling are precise and refined. Well-damped and controlled suspensions provide a careful balance between comfort and minimized body roll. The 2011 BMW 3-Series offers good front-passenger comfort and slightly less in the backseat, with adequate if not ample storage. With sedan, coupe, wagon, and convertible models, there's a 2011 3-Series for nearly any purpose, from focused sport touring to hauling the kids. Up front, the seats are well-made and ample, with plenty of legroom and headroom even for taller adults. A unique seatbelt extender in the coupe makes it easy to find the front belt. The rear seats are less spacious, with both headroom and legroom compromised, particularly in the coupe and convertible. Storage inside the cabin isn't immense, but it is sufficient. Cargo room is good in the wagon but only fair in the sedan, totaling 12 cubic feet in the trunk with the rear seats up. The coupe's trunk has a smaller opening that limits the size of items that can be stowed. With the rear seats folded down, both coupe and sedan can hold larger items. The convertible has even less space than the coupe due to the folding top. Though it doesn't score perfect ratings across the board in crash tests, the 2011 BMW 3-Series offers lots of safety equipment and good visibility. The 2011 BMW 3-Series hasn't been tested yet, but the nearly identical 2010 model performed well in National Highway Traffic Safety Administration (NHTSA) and Insurance Institute for Highway Safety (IIHS) testing, returning better-than-average scores. The IIHS rated the 3-Series “good,” its highest rating. NHTSA awarded five-star ratings for front and rear side-impact safety, while frontal crash tests scored four stars. Standard safety features include a full suite of airbags, run-flat tires, anti-lock brakes, and a stability control system. An optional automatic high-beam system helps improve nighttime visibility. Overall visibility from the driver's seat is good, though thick front pillars can occasionally make it tough to see around corners. The 2011 BMW 3-Series offers a wide range of standard options, many available upgrades, and an improved, though fortunately optional, iDrive system. Features of the 2011 BMW 3-Series commence with a choice of body styles. The two-door, four-seat coupe starts from $36,200 in 328i trim, while the four-door, five-passenger sedan starts from just $33,150. The wagon sits between the two, starting from $35,700, while the convertible is the priciest, starting from $45,000. 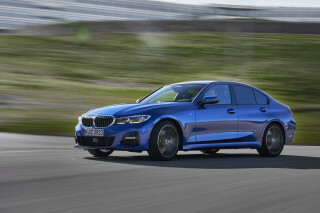 Upgrading to the 335i spec adds about $6,000 to the 328i base price of each style, while the coupe, sedan, and wagon can upgrade to all-wheel drive in 328i xDrive or 335i xDrive trim for about $2,000. 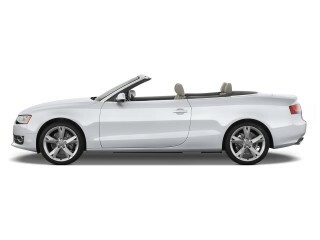 The coupe and convertible are also available in 335is trim, which adds $13,000 to the base 328i price. Finally, the 335d diesel model starts from $43,950 and is only available as a sedan. Standard features include push-button ignition, automatic climate control, heated side mirrors, sunroof, leatherette upholstery, and a 10-speaker stereo. Finding cars equipped in base spec may be tough, though, as most of the cars on dealer lots are already fitted with the Premium Package, bringing leather upholstery, Bluetooth, auto-dimming mirrors, and more. A range of technology and convenience upgrades is available, including USB iPod connectivity, navigation, upgraded audio systems, adaptive cruise control, power front seats, and more. BMW's optional iDrive system, which controls the entertainment, information, and navigation displays, has received much criticism over the years for its complexity. The latest version simplifies and improves the feature-rich technology, however, making it the best iteration yet—though still not completely intuitive to use. The 2011 BMW 335d, with its clean turbo-diesel six, is as frugal as a boring subcompact while being a hoot to drive. Other 3-Series models aren't quite as green, though. Most of the 2011 BMW 3-Series models are powered by either a 3.0-liter in-line six (328) or a turbocharged six (335). Fuel economy ranges from 18 mpg city, 28 highway for the base 328i sedans with rear-wheel drive down to to 16/25 for the 335ci Convertible. 335i sedans earn an EPA rating of 17/26. On the green scale, that's only average to a bit lower than average for the class. What gives the 3-Series extra green kudos is the existence of the 2011 BMW 335d in the lineup. That model, featuring a fuel-efficient clean-diesel six-cylinder engine, gets far better fuel economy. With EPA ratings of 23 mpg city, 36 highway, the 2011 335d is more fuel-efficient than a number of sporty four-cylinder models like the Mazda3 or Acura TSX, yet its torquey engine feels nearly as quick as the 335i models. Outstanding driving experience tempered by potentially high repair bills. The 3.0L diesel of the 3-series E90 body ending in model year 2011 was an unusual beast. This was only my second BMW, the first being a 1971 BMW 2002, which I loved because of its neutral handling and autobahn... The 3.0L diesel of the 3-series E90 body ending in model year 2011 was an unusual beast. This was only my second BMW, the first being a 1971 BMW 2002, which I loved because of its neutral handling and autobahn fun. I even liked the BMW 2002 better than a Euro-spec 1970 Porsche 911e that I had around the same time. Admittedly the 911e hadn't been taken very good care of by its previous owner, but the 2002 was just easier to drive and more forgiving of driver error. So, even though 40 years separated the model years, the BMW 2002 set my expectation level for the new 335d. Of course the power difference was stark. Even in its stock condition, the 335d is such a torque monster (425 lb/ft) that you always have power available when you want it, at least up to about 100 mph. What I didn't like about the stock vehicle was too much wallowing at highway speeds over road undulations, and very harsh reactions to speed bumps and road imperfections. I'm sure some of the latter sensations came from that generation of the stock run-flat tires. So, what did I do with the stock vehicle? I put a piggyback chip on it that increased the horsepower to about 300-305, and the torque to a little over 500 (my estimates based on reading; no dyno test). I totally changed out the suspension: M3 rear subframe bushings, AC Schnitzer M3 Sports Springs, JRZ RS1 dampers, M3 rear and front sway bars, M3 rear lower control arm, all parts from the M3 OEM Front and rear suspension kits except for the strut tower brace, Ground Control caster/camber plates. I also put a Quaife ATB limited slip differential on, changed the brake lines to stainless steel, and put Michelin Pilot Super Sports all the way around in a square (not staggered) setup. Great looks poor overall performance in the 318i Petrol version expensive for what you get. My 318i Petrol model limited edition looks great. Build quality I can not fault, it has all the M5 gear stick and wheels (Sheep in wolves clothing though). However disapointed with overall performance / output... My 318i Petrol model limited edition looks great. Build quality I can not fault, it has all the M5 gear stick and wheels (Sheep in wolves clothing though). However disapointed with overall performance / output of this engine. but did not choose this model as company car. Economy can not complain and well suited for the green eco drivers amoung us. That was the main aim of BMW for this particular model. Having done 75,000 miles. I have had a few problems with the auto stop start system and very frustrating when in traffic and will not start. Have to rev very high to get any good pull away. Clutch is giving few problems. Rear passenger leg room is poor and boot capacity is somewhat limited. I previously had 5 door hatch back. Much more practical. Has been serviced at main BMW dealers throughout. I would say this model and engine size is a good town car, but not for any highway long distance driving. Would not have another one unless at least 2.5 ltr and station wagon. Much more value for money cars out there. Sorry a bit bias as I travel long distances on business and have to sit for 5-6 hours sometimes driving. Not good. Great performance, styling, quality build, and holds its value. Performance is excellent interms of handling, acceleration, and braking. Interior is a bit snug for tall people. 2014 feels more comfortable in terms of roominess and leg room. Run flat tires are expensive and... Performance is excellent interms of handling, acceleration, and braking. It's a sports car in a wagon's body. Great handling and gas mileage, terrific steering feel, a practical hauler, reiiable, all in great style. This 335d is a performance steath vehicle and handles supubly with the sports suspension. Great look but not much value for your buck. For looks this is a very nice car. As for the rest the radio and other accessories are relatively standard. Not what you would expect. 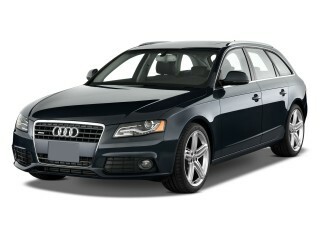 DDo not have this car on my top five list for the next lease or purchase. For looks this is a very nice car. As for the rest the radio and other accessories are relatively standard. Not what you would expect.